PivotTable’s are a wonderful thing, but they have their downsides. One of them is the fact that they will retain deleted data from the data source, which shows up in filter drop downs and slicers. This can be slightly (up to extremely) annoying and hard to find where to not show pesky deleted items. There are two areas where this is most affected – filters and slicers. You can take care of this in one fell swoop with a PivotTable setting change, or you can fix this for slicers only. Both are detailed below. 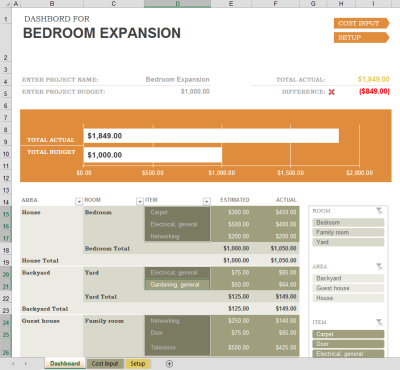 I’ve utilized a Microsoft template using Excel 2013 for this example and screenshots. There’s some dashboard data up top, then an overall chart, and below that is our PivotTable with slicers to its right. Before we get to the fixes, we need to show the problem, and before we do that, well, we need to create it. Notice there are only three unique items listed. We’ll revisit this in a moment. First, let’s create this behavior we’re talking about. For this particular template used, data input is on the COST INPUT worksheet. If the totals row is showing for a table, and you can’t just start typing a new row, select the bottom-right-most cell in the table data body range and press Tab. So I added a cabinet to the upstairs bathroom. Ooh, and it only cost me $250. Yay! Ok, data added. If you now look at the pivot table, you won’t automatically see your data. 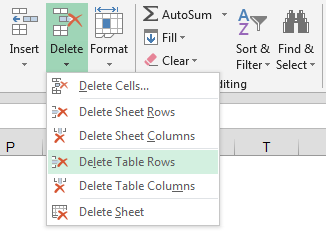 To refresh the PivotTable, either right-click any cell in it and select Refresh (as seen in the picture below), or go to the PIVOTTABLE TOOLS | ANALYZE ribbon and select Refresh there. Once you refresh the PivotTable you should now see the newly added data. 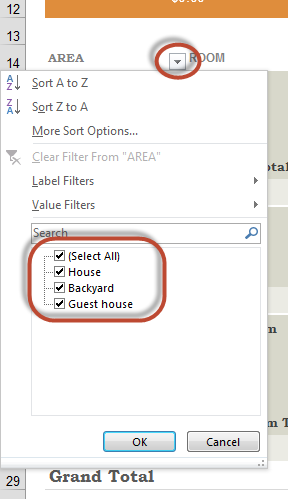 We will check the filter drop-down, which should show us a list of unique values from that field. As you can see, there is now an “Upstairs” item listed for that field. If you now refresh your PivotTable and look at your filter drop-down menu, you should notice you will still see data for the deleted row from the source menu! In addition, you will see it on any related slicers as well. This will bring up the slicer settings dialog box. What you’re looking for is in the bottom-right corner, a little check box that says “Show items deleted from the data source”. Uncheck that, click OK and your slicer is now no longer showing phantom data. By default it’s in automatic. Just change this to None and click OK. Voila! That’s it, you’re done. 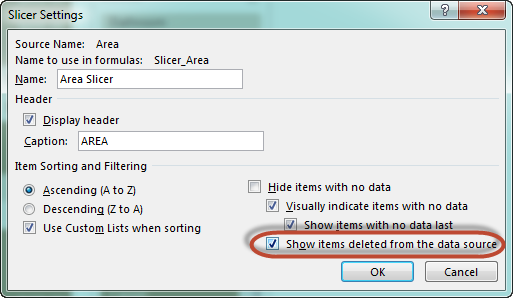 No more phantom deleted items showing up in your PivotTable. The best part of this fix is it takes care of the slicers too. Think of it as a cascade of deleted data. Fix the PivotTable and it will fix the slicers – all of them (using that data source). While PivotTable’s are a tremendously powerful tool, sometimes the default settings aren’t so helpful. This is one of those ‘PivotTable’s 101’ things, but is hard to find if you don’t know where it’s at. What a stupid default setting! Thanks for the tip! Thank you- I was just looking for how to get this fixed. Thanks! This solved my random and frustrating data problem. Now if you could only solve (or direct me to) how to get rid of the useless “(blank)” drop-down label. Does anyone have the same problem as I faced? The number of items to retain per field is not configurable. It does not allow me to switch from automatic to any other setting. Derek, if the source is an OLAP data source that option isn’t available. I’m not aware of any other reason that would be disabled. I’m sorry, I don’t know what OLAP means. But I created my data using a table and then created the pivot table within the same workbook. OLAP stands for Online Analytical Processing, and is how PivotTables are created from places like SQL Server. I don’t know of another reason why it would be disabled. What version of Excel are you using? How did you create your table? 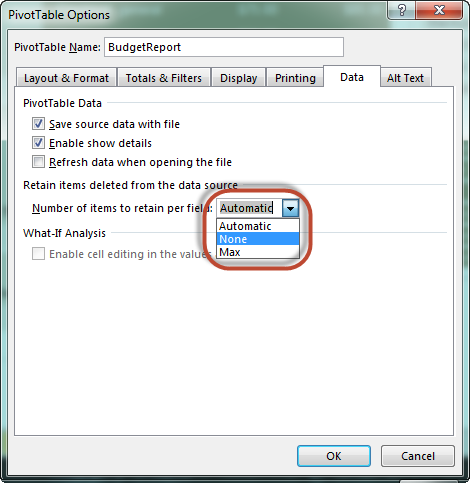 How did you create your PivotTable? Are any of the worksheets protected? I’m using Excel 2013. I created the table using the ‘format as table’ button and created my PivotTable using the insert PivotTable button. There are no protected worksheets. Yes I find it weird too. When I did the same on a new workbook, it could allow me to make selections under the number of items to retain per field option. I do appreciate your help in this. If there is no answer to this mystery, then I would just from scratch. I wonder if you created another PivotTable from this same table if you would have the same results? I’d love to test it if possible, as unfortunately I can’t replicate it, nor do I know of any other conditions which would make that happen. Sorry. 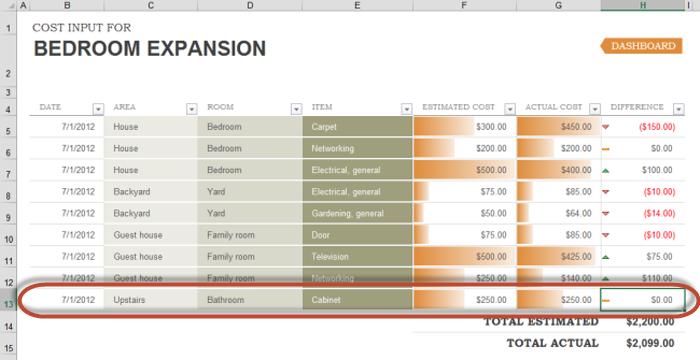 I created another Pivot Table from this same table and now I can select from the options. It appears to be a problem with that particular Pivot Table only. Thanks so much anyway! 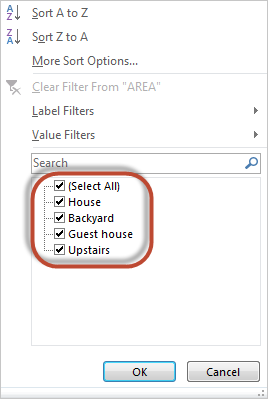 My pivot is OLAP data sourced, so is there any option for me to delete those old data in the filter? As I’m renewing my skills in pivots and slicers (never heard of slicers before but really great and easy to use!) and then you run into this kind of practical problems. As I’m developing a tool that needs to be adjusted for different businesses. After the first file saved it under different name and emptied everything and started for the next business and had all the other ‘old stuff’ still in the slicers ….. But better to adjust the pivot I understand now. I saved your address and again, many thanks! I have also found that (in Excel 2010 at least) the presence of retained items can mean that if a column is set to be sorted then the items are not always sorted properly after the table is refreshed. Setting the number of items to be retained to ‘none’ fixes the problem. Hi, I want to share my layout without sharing my data. I deleted all data and followed the steps suggested. Now everything appears empty, but it is not!! After saving the file underca different name, closibg excel and reopening again, I tried to reverse the process and then the data comes back (at least in the slicers). This means it isn’t gone, it is just not shown, but it is still there. How do I permanently delete this?